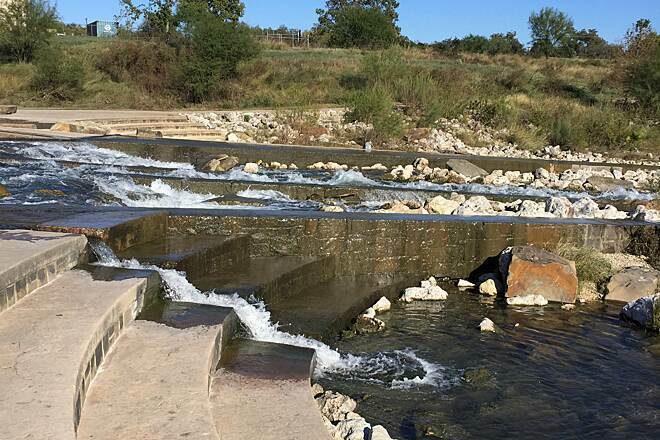 Looking for the best Fishing trails around Hondo? 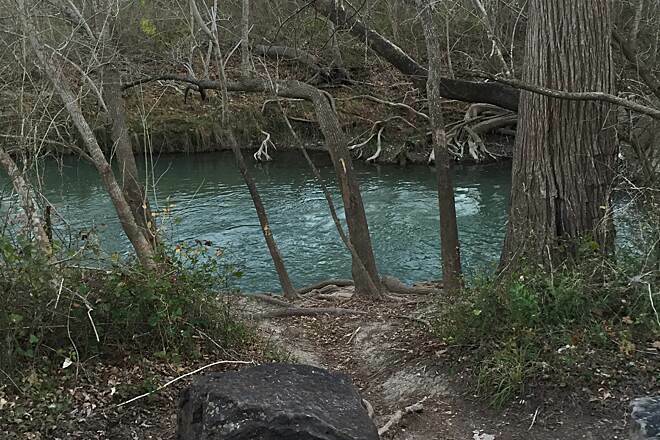 Find the top rated fishing trails in Hondo, whether you're looking for an easy short fishing trail or a long fishing trail, you'll find what you're looking for. Click on a fishing trail below to find trail descriptions, trail maps, photos, and reviews. 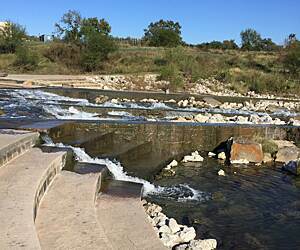 The Salado Creek trail from Huebner to 1604 is almost complete adding approximately 1.9 miles of paved trail. 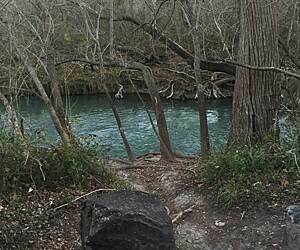 The Leon Creek Trail is complete to the Rim, so the realization of connecting these two beautiful trails is almost a reality. Fairly easy ride, if you start at Culebra Park you will be on asphalt/dirt in the wooded area. HA! So I just deleted this long, detailed, glowing review of this excellent trail, then thought, "what the heck am I doing!!". Stay away and leave this gem to the locals that live on or nearby the trail, like myself. But if you promise to come only once or twice to check it out, then bring your dog on a leash or your bicycle (road or mountain) or just your walking shoes...you will not be disappointed. It is exceedingly safe with daily Trail Stewards on bikes and the occasional quad runner with a park police officer, astonishingly beautiful, unexpectedly quiet, and you are guaranteed to come away thinking...wow, this was much, much better than I ever expected! Not perfect, but definitely worth a visit. It was great ride to do from ljb spot. I went left for about 5 miles and then back past along the boardwalk for another 7 miles. It was awesome workout. I rode this trail a week ago from the mission trail with goal of looping around OLLU and back to add mileage to the mission trail. It was empty except homeless people under bridges, some covered with sheets, giving the experience a bit of the macabre. I turned around and won't go back until usage is up. THIS TRAIL IS SOMEWHAT ISOLATED BUT VERY QUIET AND SERENE. THERE ARE TWO STEEP DECLINES AND INCLINES NEAR THE BEGINNING OF THE TRAIL THAT YOU HAVE TO WALK BECAUSE OF THE EXTREME ZIG ZAG PATTERN BUT AFTER THAT THE TRAIL IS VERY EASY. AT THE END THE LAST 3/4 MILE IS DIRT. THEY ARE SUPPOSED TO EXTEND IT A COUPLE OF MILES IN THE NEAR FUTURE. I SAW TWO PEOPLE WALKING AND THREE TRAIL STEWARDS ON MY VISIT. THE ONLY DRAWBACK IS THAT THE RIVER IS NOT EASILY VISIBLE FROM THE TRAIL. YOU HAVE TO STOP AT A REST POINT TO ENJOY THE RIVER SCENERY. I ALSO SAW A WILD PIG AND FIVE LITTLE ONES FOLLOWING MAMA. THERE IS A WARNING SIGN FOR SNAKES BUT I DID NOT SEE ANY. I DID SEE A ROADRUNNER. Great scenery and very few road crossings. The northern end of the trail has been extended for about one mile. The signage is a bit confusing, with little branches coming off the main trail. We rode 9 miles on the Salado Creek Greenway today. We got on the trail at Ladybird Johnson trail. The temperature was great for January but the scenery was still kind of bleak. I'm sure the trail will be gorgeous in a few months. Can't wait to use the trail again. Wonderful trail.